City of Dreams Manila is gathering together the country’s sought-after wedding experts including renowned fashion designer Francis Libiran; Feng Shui Master Joseph Chau; top wedding stylists Gideon Hermosa, Michael Ruiz, and Teddy Manuel; and the luxury integrated resort’s event planners, food & beverage and culinary team for “Dream Weddings: A Wedding Gala by City of Dreams.” Directed by leading event director Robby Carmona, the gala showcases how soon-to-be wed couples can experience dream-come-true weddings at the grand ballroom. 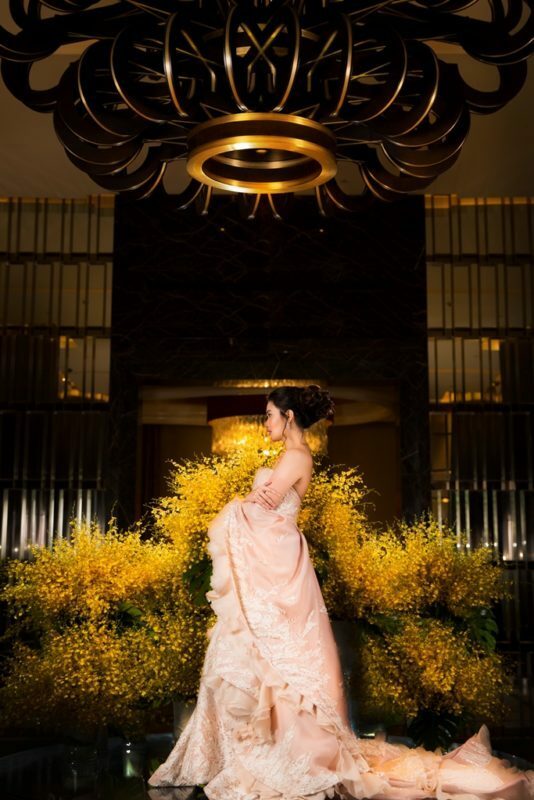 The elegant grand ballroom will be adorned with blush-themed set-up for this by-invitation-only gala that puts into spotlight a bespoke bridal collection of celebrated A-List fashion designer Libiran, whose creations are sought after by both local and international celebrities and known fashion enthusiasts. In lieu of a usual fashion catwalk, Carmona has conceptualized a huge tiered cake-like stage with ornately designed gazebo, setting the theatrical stage for the bridal fashion show, and a contemporary dance performance about love and union. 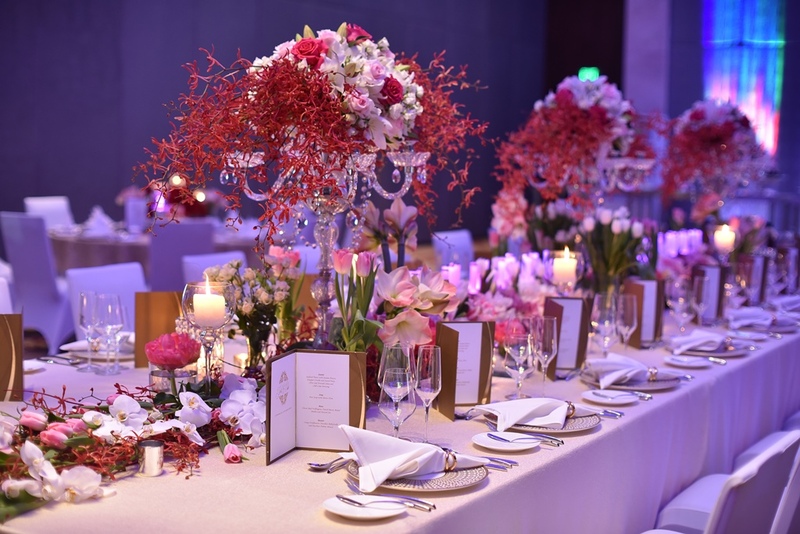 The event also highlights sumptuous creations from City of Dreams Manila’s banquet and signature restaurants with the chefs de cuisine of Crystal Dragon, Nobu, and The Tasting Room and executive chefs offering guests a taste of their respective specialties. Each restaurant feature is expertly curated and styled in exquisite table set-ups by Hermosa, Manuel, and Ruiz. Hermosa, Manuel, and Ruiz have made a mark in the industry with their exceptionally tasteful and innovative take on events styling. A primary figure in Chinese geomancy with decades of practice under his belt, Feng Shui Master Joseph Chau is providing invited couples with tips on how to add harmony in their married life. TV & event host and lifestyle blogger Janeena Chan hosts the wedding gala. A fitting venue for an event that celebrates love, romance, and life-long partnerships, City of Dreams Manila’s grand ballroom features an expansive floor space crowned by noticeably exquisite ceiling glass installations and mood-setting lucent lighting, evoking a sense of utmost luxury and elegance. With a spacious seating capacity of up to 600 for a banquet and up to 900 for theater-style seating matched with the expertise of an exceptional team of event planners and thoughtful staff who ensure a personalized, seamless, and memorable experience, dream-come-true celebrations are made possible at this opulent venue. Dream Weddings Gala is happening on November 30, 2018 at 6 PM. Entrance is by invitation only. For inquiries, call 800-8080 or e-mail guestservices@cod-manila.com or visit www.cityofdreamsmanila.com. The integrated resort features three luxury hotel brands: Nüwa Manila, ranked Five-Star by Forbes Travel Guide 2018 which also named it one of the World’s Most Luxurious Hotels, and Forbes Travel Guide Four-Star awardees Nobu and Hyatt, more than 20 impressive restaurants and bars, and distinctive entertainment venues, including: the family entertainment center DreamPlay, the world’s first DreamWorks-themed interactive play space and The Garage, a VR Zone and food park.